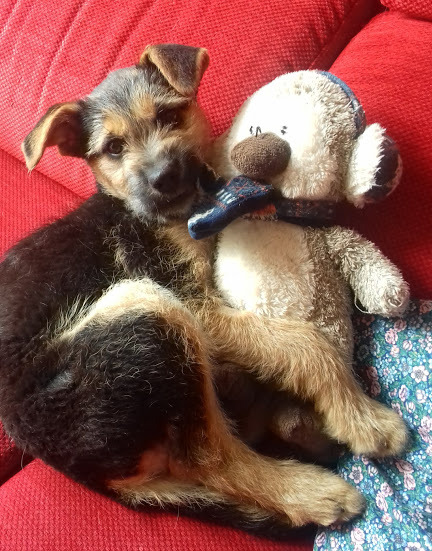 Carlton just over 4 month old Shepherd possibly Catalan mix boy being fostered in a family home in Birmingham with three dogs and a cat. 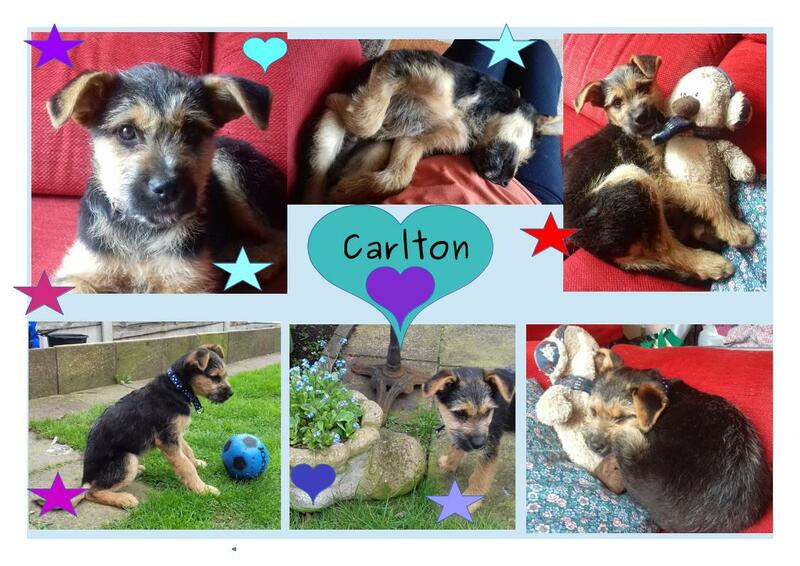 Our lovely Carlton was one of 8 puppies recently homed, he has come back into our care very shortly after rehoming due to health problems not being disclosed to us by his potential owner I am sure they will not mind us putting this as so many dogs that get returned even though not their fault get a label put on them. 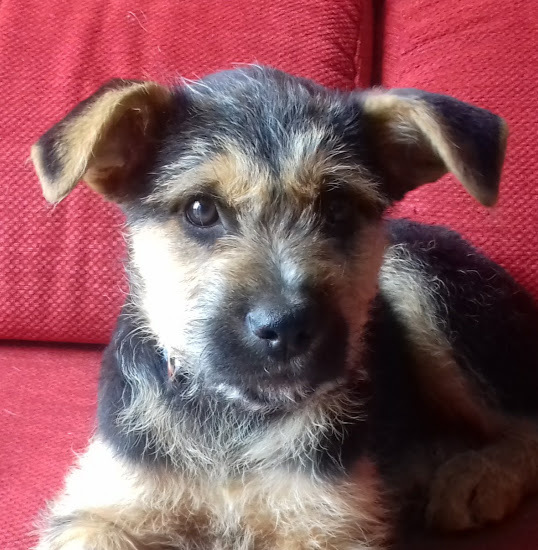 Carlton started his life in Spain dumped with his siblings he was one of the lucky ones and was fostered with his sister with Aunty Sherlie who has since returned to UK and was lucky enough to offer him a foster placement so not too much change for this young lad. Aunty Sherlie putting in lots of work with this boy, he has learnt to sleep in a crate, house trained, walking on the lead and getting used to traffic noise etc, he travels well in the car and he is now off the lead and doing well with his recall. Loves the other dogs but they are older and do not want to play. Fine with the cat but also to the cats’ horror tries to play with him too. He is a very loving sociable boy. Carlton is a lovely puppy who like his siblings have wonderful natures, very affectionate and confident, someone is going to be very lucky to home this boy – he is intelligent and needs a home who understand the work that is needed for a young dog, ie dog training, socialisation all needed now so that when he is bigger he will be a credit to his owners and a joy to own. So no fulltime workers this does not work with puppies, he would love another dog to play with. We would prefer owners with Shepherd/Collie experience who understand the type of needs this mix will need. Carlton is fully vaccinated, chipped and has his own Pet Passport. Too young to be neutered you will be expected to do this as part of the adoption agreement.